Back to SubZero (wink) I really hope they find another soundtrack composer near as good as the last. That guy was kind of genius (IMHO). wow can't wait to play it. And I know it's early, but will it be coming to Xbox? Would you like to see new Submarine in the expansion? If yes, please vote which one do you prefer from the concept arts? Undoubtedly it's coming to Xbone and PS4. But clearly, expansion for console probably isn't a very big priority, if at all. Looking amazing! Hope this expansion also adds a bit of something to the base game, just something nice..
to those that say the game was never supposed to be co op i give you this post https://steamcommunity.com/app/264710/discussions/0/619569608547532442/ from a developer talking about how it wont be in release but will be a high priority soon after. And this post https://unknownworlds.com/subnautica/subnautica-multiplayer-when-if-how-and-why/ in which its stated that the game was originally conceived of as a co op experience. So all you people stating that they never planned to make the game co op and how we all need to just shut up and stop bringing it up can shush. No, just... no. First off, the second article literally SAYS it’s outdated and has a link pointing to updated info. The first is from 2014, when the game was really only in a concept phase. In that time things are subject to change, and guess what? They did. Nobody ever said multiplayer was never planned, because it was. However too many things got in the way and the devs decided against it relatively early on. If you look in the pinned threads section you’ll see an entire thread (by one of the devs) on why multiplayer will not happen. Due to the way this game works it would be nigh-impossible to do multiplayer, and it’d require messing up a LOT of stuff in the base code. They’d be better off just making a game from the ground up. NOT below zero, either. Below zero, while independent of the basegame, still runs on the same base code and multiplayer is also impossible for it as well. Even if they COULD make multiplayer work, it’s not just a matter of flipping a few switches and pressing a few buttons. It’d take several months, and I’d expect at least a year before it’s completed. They can’t just give us co-op. Plus, the devs decided that they wanted a game with a narrative that kinda builds upon you being alone. You’re the sole survivor and you’ve got nobody around who can help you. Multiplayer would cause all kinds of problems with the story. There IS that multiplayer mod but don’t think it means the devs can also add multiplayer. That mod will never be at the quality expected of the devs, and it causes all sorts of problems with progression. TLDR: Multiplayer will never happen. Stop asking for it. Seriously. Save your breath. Why is it called Below Zero and not SubZero or something like that? Since this is SUBnautica, Subzero would be a better name. The reason, I think, that its called Subnautica Below Zero instead of making a completely new name is because its supposed to be a sequal to the game, instead of a new game. Yes, I know that it is clearly stated that The new DLC isn't even a DLC technically, its a stand alone expansion. However, from a strictly story point-of-view, the game takes place on the same planet, with (generally) the same conditions, making it more of a continuation of the game. To put it another way, if a sequel of a movie came out showing a different perspective, they wouldn't name it something completely unrelated to the first movie. Is this just an idea, or are they really thinking about adding it? I'm onboard! when will the early access released for xbox? Xbone is going to be finished. If they weren't planning to finish it, they would've stopped a while ago. Computers capable of running the game do go for around 300-1000, but do note the game is only 20. A 500 would probably work. Either way, don't assume development has stopped. Multiple times they stated that they will work on it and are working on it. Plus Xbox is technically complete in terms of content. They’ve simply got some bugs they wanna fix before they mark it as 1.0. 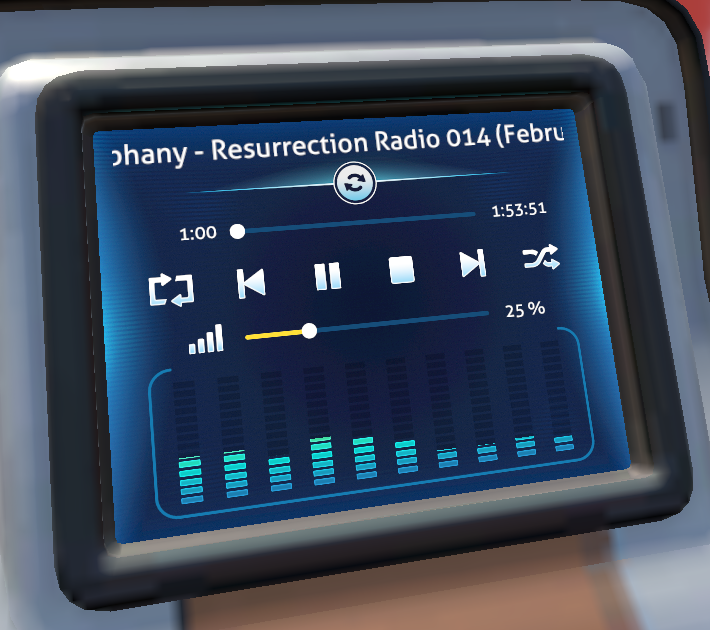 If we stay with Subnautica Experimental Mod , can we see the part of your work before the live like the first part of subnautica ? Is there a way to get beta-tester? Will it be realeased for Xbox to?? Probably but not top priority. Just read this page. when will Subnautica Below Zero coming out. I wish they feature coop mod since I truly would like to share another awasome deep water experience. Snowfox looks nice, if a bit Star Warsey. Sea Truck sounds promising, I hope it's more useful than the Cyclops. Just logged back in on here after a rather long Subnautica hiatus to give my impressions of what we've seen so far of the arctic expansion. That picture of the hovercraft and the descriptions of the other vehicles make me happy. My opinion is that Subnautica is lacking in vehicles, and I'm very glad to see the devs adding new ones. The ice should provide lots of interesting verticality and caves above and below water, and hopefully give us lots of interesting places to explore. Also glad to see that screenshot of a rather large base above water. Despite the main focus of the game being underwater, I'll admit that a lot of my favorite exploration was on the islands so I'm glad to see we'll likely have more above water areas to explore. Overall I'm tentatively hopeful for this standalone expansion. I'm a little disappointed it's a standalone experience, but at the same time it gives the devs a lot more freedom to change things up. My hope is that they'll take advantage of this as much as possible and address some of the fundamental issues with the base game.